These collages were created using stills from the live performance ‘Look at me’ and textiles. ‘Look at me’ examines the psychosynthesis of the queer performer, whose efforts to narrate a personal story are misinterpreted by his audience as a compulsive need for attention. The performer is left disheartened and confused. 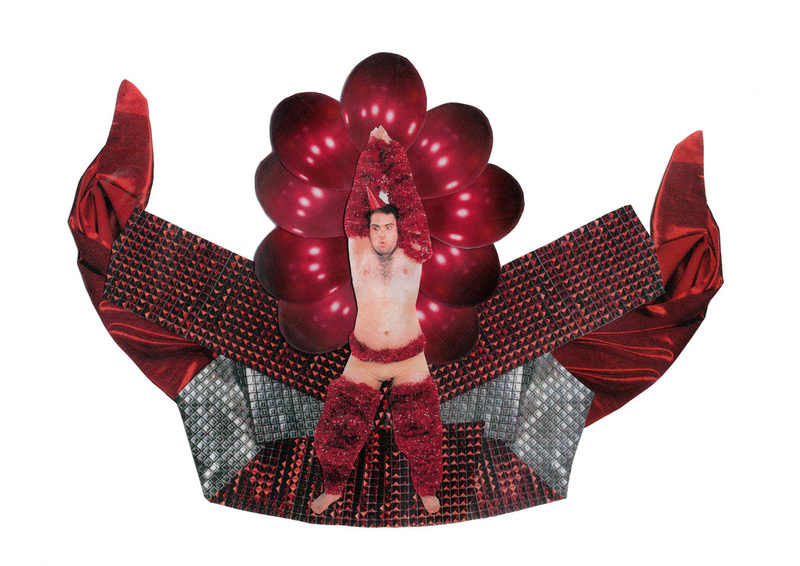 ‘Look at me’ also explores the dynamics of my sexuality and gender fluidity in a social context via performance; The body language and facial expressions seen in the collages capture the genuine awkwardness and confusion of a queer performer living in a heteronormative society.